Plug your bridge/hub into a power outlet and your home router or modem. Launch the Keen Home app and follow the instructions to add your Smart Bridge. You'll just need the six-digit activation code found on its underside. Remove the magnetic faceplate and pull the removable green arrow tab to activate your Smart Vent. 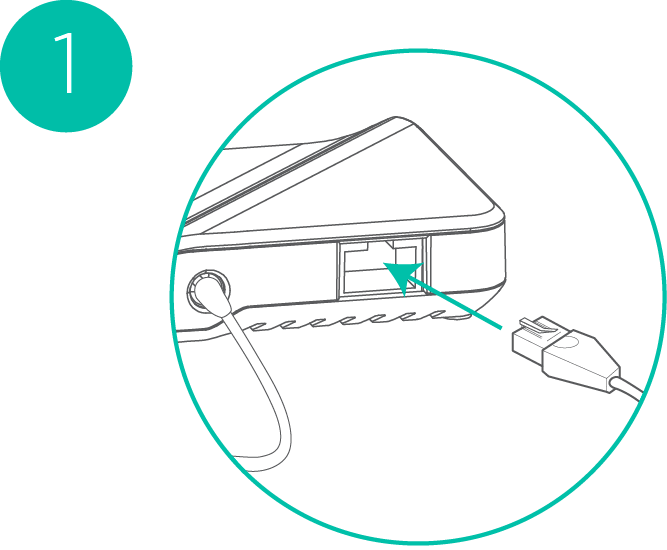 The Smart Vent will double blink green to indicate it is on and ready to pair with your hub. Remove the existing floor, wall, or ceiling vent register where you want to install your Smart Vent. Insert your Smart Vent in place of your old vent register and align the ceiling mounting clips included with the Smart Vent faceplate with the screw holes on the vent and in the wall. Need ceiling mounting clips? Click here to request a kit. 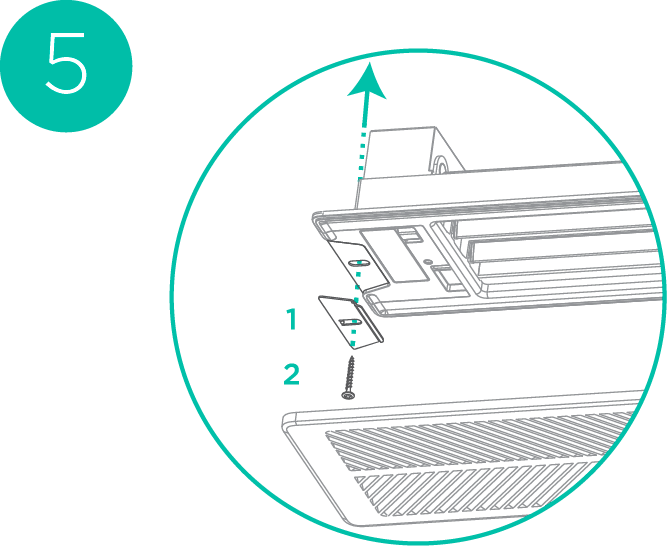 Either from the Home Controls or Room Controls screens, create a room in which you're installing the Smart Vent(s). Within that room, tap 'Add Smart Devices,' then follow the on-screen instructions to add your Smart Vent. We strongly recommend connecting one Smart Vent at a time so you can easily keep track of which vent is installed where. A window will pop up with a spinning status wheel signifying the app is looking for a device. The Smart Vent should pop up during the search. Tap "Identify" and watch for a white flashing light on the face of the Smart Vent you're trying to connect. Once identified, check the box next to the Smart Vent that appears during the search. 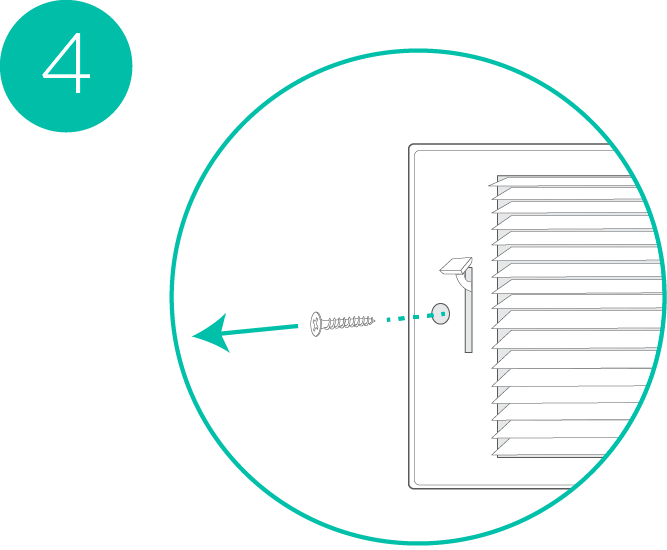 The Smart Vent System currently integrates with ecobee and the Nest Learning Thermostat. The instructions below apply to integrating with ecobee and Nest, but will be similar for other thermostats we anticipate integrating in the near future. Tap “Add Smart Thermostat” on the top left corner or bottom of the Home Controls screen, or at the very bottom of the "Connected Devices" screen. Follow the onscreen instructions to sign into your ecobee or Nest account and finish setup. With your thermostat connected to your Smart Vents, you can control the base temperature of your home and switch your thermostat from Away to Home mode to preheat rooms on your way home from work. When your Smart Vents are set to Balance Mode while connected to a smart thermostat, they will automatically detect whether your home is being heated or cooled and will use the thermostat’s temperature setting as a base for temperature offset calculations. You add a repeater similar to how you add a Smart Vent. Make sure the repeater (an additional Smart Bridge) is connected to power but is not connected to an Ethernet port. From the Home view, tap on the name of the room in which you'd like to add your repeater. Tap + ADD SMART DEVICES, and then "Find Smart Devices"
The repeater should appear after a few moments of searching. 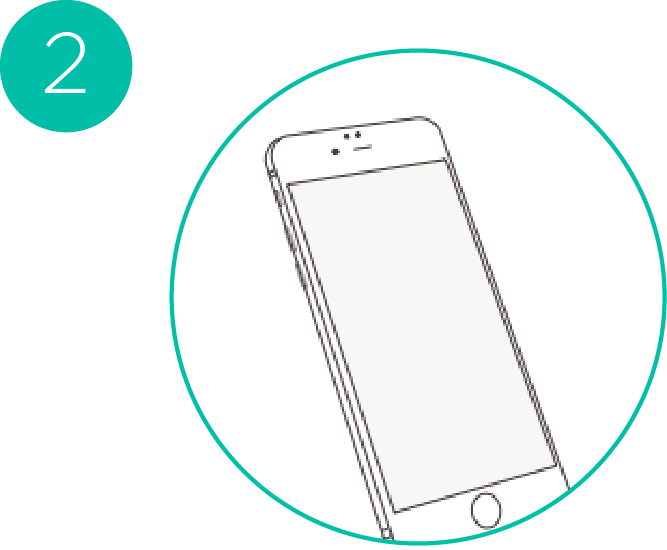 Tap the circle next to the repeater until a check appears. Tap "Add Selected" and you should be all set! You should immediately notice a better connection between the Smart Bridge and Smart Vents. You add Temp Sensors similar to the way you add Smart Vents and Repeaters. As with other Keen devices, we highly recommend only adding one at a time to ensure successful pairing (and making it easier to keep track of which device is assigned to which room). Open the battery bay on the bottom of the sensor by twisting the panel counter-clockwise. 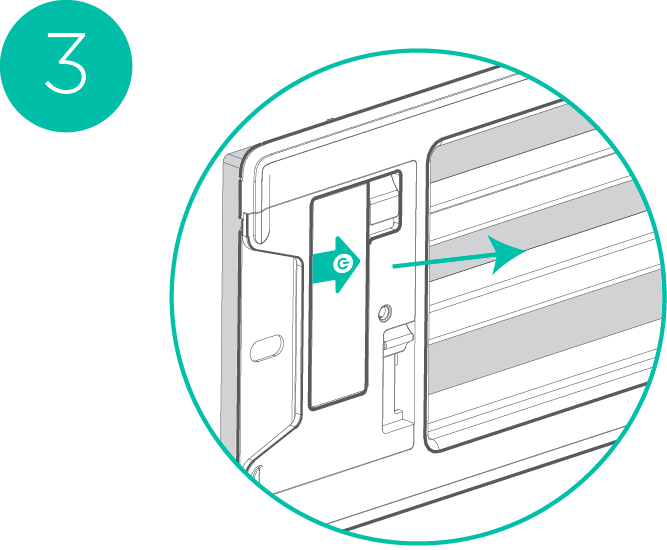 You can use a quarter in the slot as leverage, or you can remove the circular sticker, stick the sensor to a flat surface, and twist it to easily open it. Insert the battery "+" side up and re-attach the lid. In the Keen app, navigate to your room of choice and tap Add Smart Devices and then Find Keen Home Devices. With the battery inserted, the sensor should begin double-blinking its LED to indicate it's in pairing mode. If not, you can hold down the 'wake up' button on the front of the sensor for four seconds. Once the Smart Bridge detects the sensor, the sensor will blink three times indicating it's joined the network. In the app, it should pop up notifying you that you can add it to your room. Learn more about Temp Sensors here.